Kendricks caught two passes for a season-high 37 yards in Monday's victory over the 49ers. Analysis: Kendricks has produced 45 of his 67 receiving yards and his lone touchdown over the last two weeks, so he is contributing more than he was early on. However, he remains the Packers' backup tight end and is averaging 22 snaps per week, so his chances to make a fantasy impact remain minimal. Kendricks caught two passes for eight yards and a touchdown in Sunday's loss to the Lions. Analysis: Kendricks caught two passes for the second week in a row and found paydirt for the first time this season. He continues to work as the Packers' No. 2 tight end behind Jimmy Graham and ahead of Marcedes Lewis, but with averages of just one reception, six yards and 22 snaps per game this season, he's not doing enough to help fantasy players. Kendricks caught one pass for five yards in Sunday's victory over the Bills. Analysis: Kendricks made little impact on the stat sheet in Sunday's game but most notably he again worked over Marcedes Lewis as the Packers' backup tight end, playing a season-high 35 snaps to Lewis' 17. Kendricks caught one pass for four yards in Sunday's tie with the Vikings. Analysis: Kendricks operated as the Packers' backup tight end for the second time in as many weeks, playing 27 snaps to Marcedes Lewis' 14 and notching the only reception between the two. Starting tight end Jimmy Graham notched six receptions for 95 yards and will continue dominating the work at the tight end position for Green Bay. Kendricks caught one pass for 13 yards in Sunday's victory over the Bears. Analysis: It was assumed that Kendricks would open the year as the Packers' No. 3 tight end, but he worked as the backup at the position in Week 1, tallying 19 snaps to Marcedes Lewis' seven and even was announced as a starter on the game broadcast. Fellow tight end Jimmy Graham also started Sunday and clearly led all tight ends with 59 snaps, and he figures to dominate the work at the position as long as he is healthy. Kendricks caught two passes for 28 yards in Thursday's preseason win over the Steelers. Analysis: Kendricks got on the board Thursday after going without a catch in the Packers' first exhibition game. He caught just 18 passes a year ago, and it's tough to envision him doing significantly better following the offseason additions of fellow tight ends Jimmy Graham and Marcedes Lewis. Kendricks did not catch in the Packers' regular season finale and finished 2017 with 18 receptions for 203 yards over 16 games. Kendricks reeled in four of nine targets for 36 yards in Saturday's 16-0 loss to the Vikings. Kendricks caught one pass for five yards in Sunday's 31-24 loss to the Panthers. Analysis: The return of quarterback Aaron Rodgers did nothing for Kendricks' production, but it did provide a boost for the numbers of fellow tight end Richard Rodgers, who had by far his best day of the season. Regardless of who is at quarterback, Kendricks' minimal output -- 14 receptions in 14 games -- will keep him on the fringes of fantasy relevancy over the season's final two weeks. Kendricks caught two passes for 11 yards in Sunday's victory over the Browns. 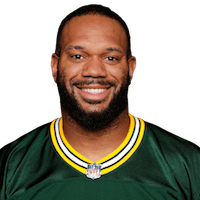 Kendricks was charged Friday with possession of THC from a September traffic stop in Outagamie County, Wis., Michael Cohen of the Milwaukee Journal Sentinel reports. Kendricks caught one pass for 11 yards in Sunday's 26-20 overtime victory against the Buccaneers. Analysis: Kendricks got back on the board after not catching a pass Week 12, but he is now up to totals of just 25 yards on three receptions over the last four weeks. That hardly inspires much confidence in Kendricks' Week 14 prospects, but he will have the benefit of taking on a Browns defense that has frequently been beaten by opposing tight ends this season. Kendricks did not catch a pass in Sunday's loss to the Steelers. Analysis: Kendricks was credited with the start Sunday, but according to Rob Demovsky of ESPN.com, he played fewer snaps (29) than fellow tight end Richard Rodgers (37), who also hauled in the lone reception among Packers tight ends Sunday night. Kendricks has started four straight games and figures to remain part of the starting lineup moving forward, but with totals of just four receptions and 46 yards over that span, he is not bringing much to the table for fantasy players. Kendricks caught one pass for five yards in Sunday's 23-0 loss to the Ravens. Analysis: Kendricks tied a season high with four targets Sunday, but that provides no consolation to fantasy players that started him against the Ravens. He's totaled just 46 receiving yards in three games since taking over as the Packers' top tight end, and the odds of him making a meaningful fantasy impact Week 12 seem slim facing a Steelers defense that has routinely shut down opposing tight ends all season. Kendricks caught one pass for nine yards in Sunday's victory over the Bears. Kendricks will continue to have an elevated role in the Packers' offense with Martellus Bennett (shoulder) already ruled out for Sunday's game at Chicago, Wes Hodkiewicz of the Packers' official site reports. Kendricks caught two passes for 32 yards in Monday's loss to the Lions.